Dear Reader, we can tell life may not be at its most joyous right now, and that you need some Canadiana to cheer you up. Here’s something for you: Stardust and Shadows: Canadians in Early Hollywood, a book that discusses the contributions of 18 influential Canadians in fledgling Hollywood. Now, you may be asking – and rightly so – how a book about a bunch of obscure Canadians would ever cheer you up. Because this is a book about resourcefulness and determination. Because this is a book that explores generosity and giving others a Leg Up. Now, before we go any further, we must say this volume is largely a compilation of people’s memories, and those memories may not be entirely accurate. Stardust and Shadows was written by author, publicist and newspaper editor Charles Foster, whose own life would make a fascinating movie. 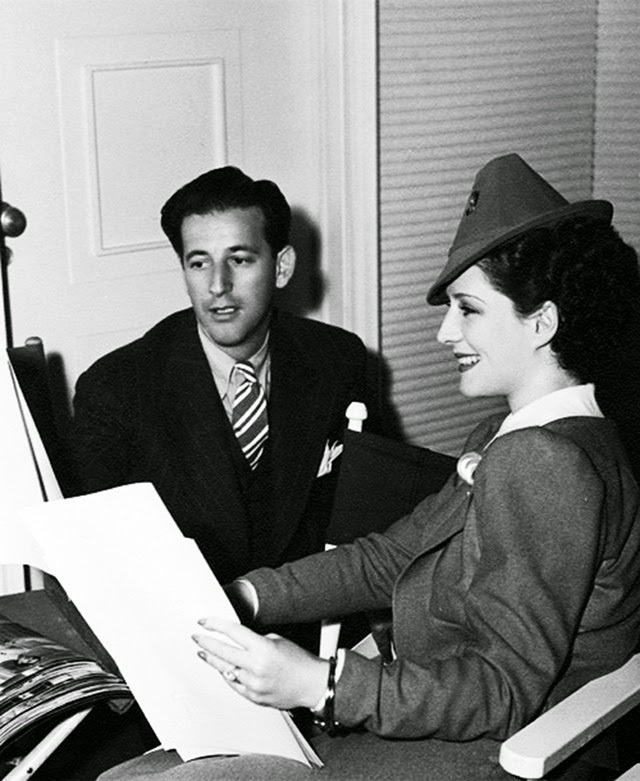 Foster’s interest in Hollywood history began in 1943, when he was a R.A.F. serviceman on leave in Los Angeles. During this initial visit, he met and became friends with many filmmakers from the silent era, including Mary Pickford and Mack Sennett. 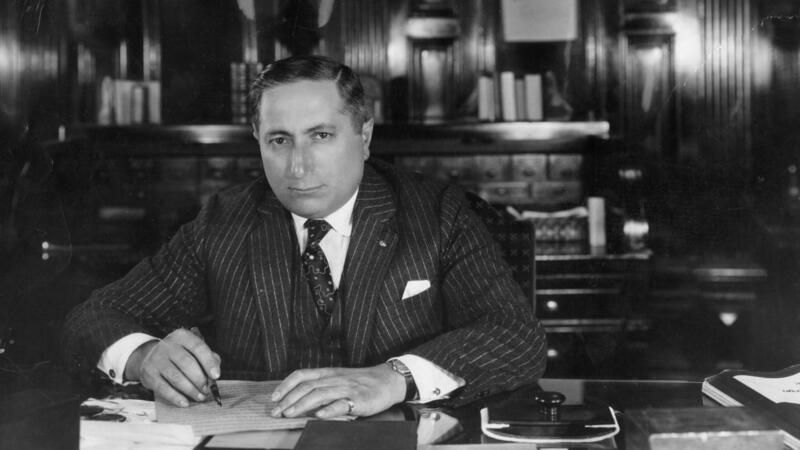 He also met Louis B. Mayer, co-founder of MGM Studios. “Mayer introduced me to so many of his stars that I lost count,” writes Foster. “But it was the Canadians he sought out who stayed in my memory. They were all so proud to talk about their former homes in Canada” (p. 8). Foster talks about the comedies produced by Canuck brothers Al and Charles Christie, and he introduces us to director Allan Dwan, the man actress Gloria Swanson credited with her success in the mid 1920s. He also shares part of a 1980 interview with Greta Garbo, who had glowing things to say about Marie Dressler: “I wanted to say thanks to her for making it so easy for me to make my first sound film,” said Garbo. “I was absolutely terrified when I started, but like everyone else on the set I was entranced with Marie, who seemed to have no fears” (p. 88). Foster has included scandals, too, such as questions about actress Florence LaBadie‘s death, and the brief, but strange, disappearance of director Sidney Olcott. Although Foster was born in England, he later made Canada his home, and his admiration for Canadians in the early days of Hollywood is infectious. He praises the women who saved Universal Studios on two separate occasions (Marie Prevost and Deanna Durbin), and the Canadian women who scored Best Actress Oscars three years in a row: Mary Pickford (1930); Norma Shearer (1931); and Marie Dressler (1932). Foster’s primary genius, we think, lies in his interviewing skills. He’s coaxed a lot of interesting observations out of Hollywood insiders, a few of which raised our eyebrows. His secondary genius is in selecting the 18 Canadians of this book. In choosing these film pioneers, he gives us a well-rounded look at Hollywood in those crazy, early days. If you’re looking for something to restore a little faith in humanity, we recommend Stardust and Shadows. Foster, Charles. (2000). 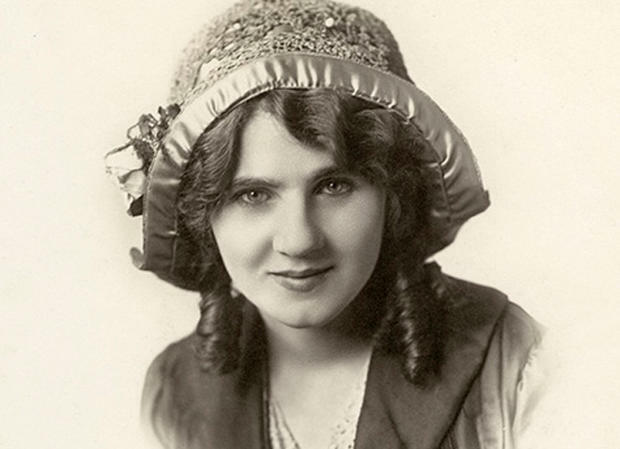 Stardust and Shadows: Canadians in Early Hollywood. Toronto, ON: Dundurn Press. Disclosure: We own a copy of this book. This is part of the O Canada Blogathon hosted by Speakeasy and yours truly. 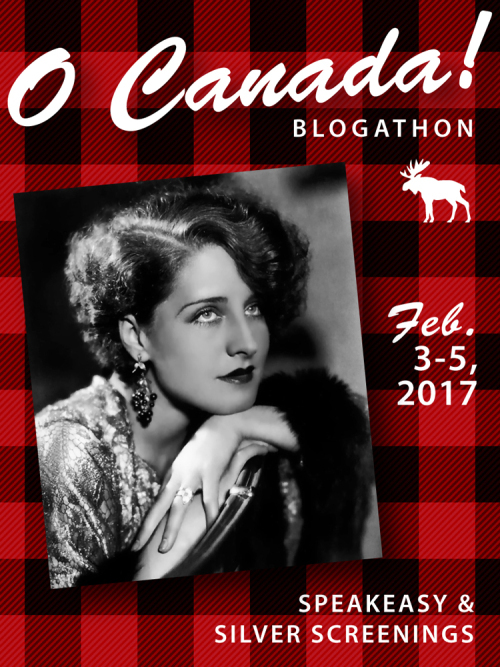 Previous #OCanada Blogathon Starts Friday! Sounds like a great addition to my film library! Plus, I love reading the work of a great interviewer. Some terrific stories in this book. Not sure if they’re all true, but they’re still a fascinating look at Hollywood back in the day. Well, if he was able to speak with Garbo, he must have been a good interviewer! This sounds like an interesting read. I’ll have to keep it in mind and see if my local library has a copy. Thanks for bringing it to my attention! I was stunned when he said he interviewed Garbo. The whole book is truly interesting. I found it hard to put down. Yes, Canadiana is very much needed right now. And this book sounds fantastic. Thanks for telling us about it. I found this book hard to put down. I’d be interested in hearing your thoughts, if you get the chance to read it, especially because of your knowledge of the era. I’m definitely putting this towards the top of my TBR list. I cannot wait to read it (and share my thoughts about it, too). Again, thanks for the intro! I don’t think I ever knew that Shearer was Canadian. I’m going to learn a lot with this blogathon. I always learn a lot from this blogathon – and I’m a Canadian, for pete sake. Interesting!! I knew about how much European born stars (including the English), played a major role in influencing Hollywood’s rise; but wasn’t aware how many Canadian’s had a hand in it!! Come to think of it, immigrants contributed to Hollywood’s fame!! 😉 Ha!! Haha! You’re a cheeky one. Yes, it’s fascinating to see the contributions of immigrants in Hollywood…and how they crafted the image of an idealized America. Haha! Yes, if your family really, truly loves you, they’ll give you this book for your birthday. Haha! It’s a great read, isn’t it? It was hard to put down. The world can certainly use a little push right now. Perhaps, even a huge push. A book about people being happy and helping others to be happy, too, is more than welcomed. It also helps that the cover rocks! I had no idea how absorbing this book would be when I picked it up at a used bookstore. I had it for TWO YEARS before I even read it! Sheesh! As Mery streep said at the Golden Globes, the best, coolest people are Canadian. I agree! Thanks for the book tip. Apparently it hasn’t arrived in Brazil, but I’ll keep looking for it. Yes, Canadians are the coolest people around…especially now that it’s February! (Haha) I hope you’re able to track down a copy of this book. It really is a fascinating read. What a fun post! It sounds like a neat book, and such a cool cover! It’s too bad the author didn’t write a series of these books, concentrating on different eras of Canadians in Hollywood. And, I see I can get this in hardback from Amazon for $1.15….hmmmm. Read this book, and whatever its flaws it was a great intro and gateway to so many Canadians and their important contributions in Hollywood (one of the only places I learned more about Douglas Shearer!). 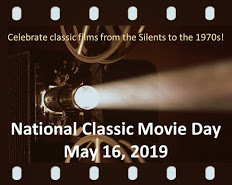 Nice choice, and many thanks for being such a great co-host as always 🙂 this blogathon is a joy! The chapter on Douglas Shearer was really interesting. I knew nothing about him! Also, I loved the info on the Christie brothers. This book is a fabulous overview of Hollywood back in the day, no? Okay, okay, I’ll get the book too!